KUALA LUMPUR: Astro Malaysia Holdings Bhd reached a new milestone by being the first in Southeast Asia to launch a dedicated 24-hour eSports channel in the region called eGG (or Every Good Game). Fans of eSports now can enjoy watching popular eSports tournaments like League of Legends, Dota 2, Counter Strike: Global Offensive, Hearthstone, Heroes of the Storm, StarCraft II and many more on this channel via Astro and Astro on the Go on eGG channel 808 in Malaysia. 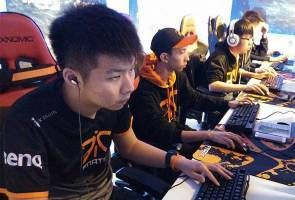 Lee Choong Khay, Vice President of Sports at Astro said eSports is a growing global phenomenon among the millennials and is expected to reach over 218 million audience worldwide by the end of 2016. "Enjoying booming popularity among a growing community of eSports fans, we believe that a dedicated 24/7eSports channel, eGG will play a pivotal role in bringing together a connected ASEAN community of eSports fans. "eGG plans to partner with main game organisers and developers to bring live top tier global tournaments and on demand content featuring pubstomps, gaming walkthrough, expert guides, documentaries, game house tours and weekly highlights,” he said in statement here, today. Astro was the first pay-TV operator in ASEAN to broadcast The International 5 Dota 2 Championshipin 2015, live on television. The broadcast of Ti5 was huge among the younger demographics, thus encouraging Astro to broadcast more eSports tournaments and capturing millions of viewers. eGG channel 808 will be made available for Free to all Astro and Astro on the Go customers in Malaysia starting June, 2016.